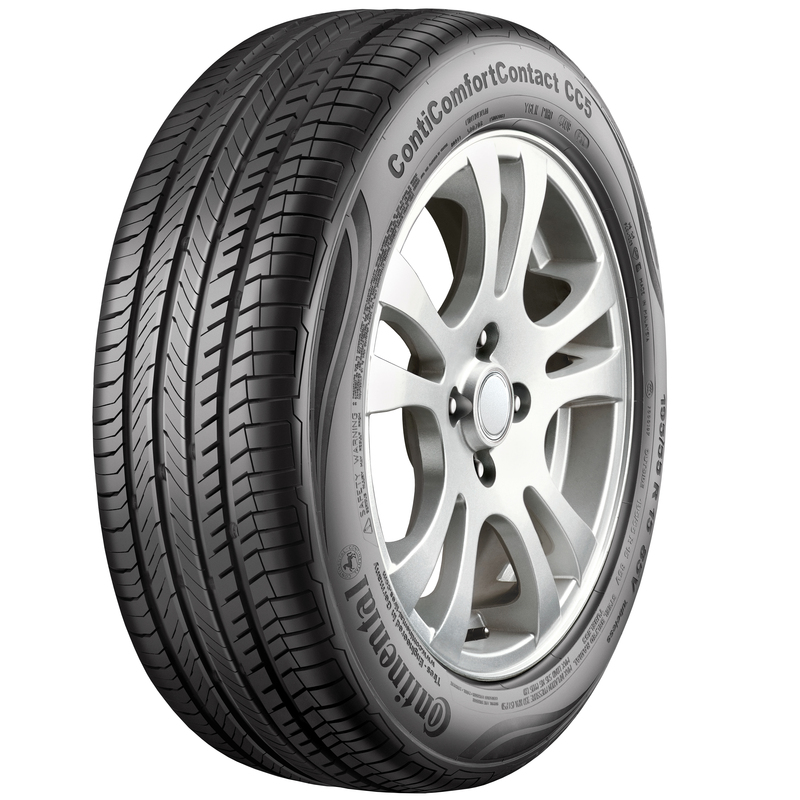 CONTINENTAL CONTI COMFORT CONTACT CC5 is a tubeless radial car tyre. CONTI COMFORT CONTACT CC5 is suitable for cars with tyre size 155/80 13. Its width is 155 mm, profile or aspect ratio is 80% of width and it fits wheels with a rim size of 13 inches. It has a load index of 79 and the maximum load it can handle is 1748 Kgs. Speed rating of this tyre is "H" which means the maximum speed limit this tyre can support is 210 km/ph. It has 5 years standard warranty. This Tyre fits in the following cars: Chevrolet Aveo U-VA, Datsun Redi-Go, Getz, Hyundai i10, Mahindra eSupro (Electric Vehicle), Mahindra Imperio, Mahindra Supro, Mahindra Supro Maxitruck, Maruti A-Star, Maruti Celerio, Maruti Esteem, Nissan Micra Active, Renault Kwid, Tata Indica V2, Tata Tiago.